We bring you a wide choice of well designed, top quality bins from leading brands. 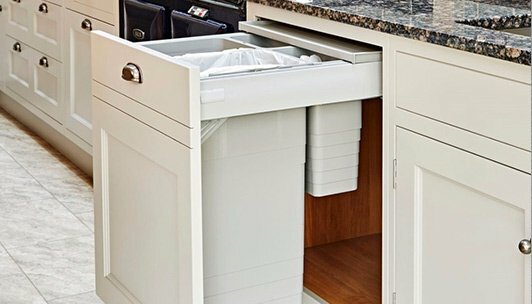 We’re specialists in recycling bins, both in-cupboard and freestanding, and we’re sure to have a bin which will help sort out the recycling, look good and work well in your kitchen. 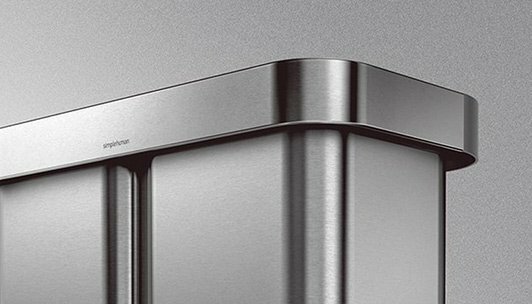 We also have the best design-led single bins for the home and office. Our website is clear and easy to use, so you can relax and enjoy shopping with us. We choose our products with care and set out detailed information about them, to help you make the right choice. We’re happy to help you choose a bin for your home. We also liaise with kitchen fitters, interior designers and architects to suggest bins for their clients’ recycling needs. If you can’t see what you have in mind on the site, let us know as we can often find specific products to meet a brief. We treat our customers as we’d like to be treated ourselves. We enjoy giving you friendly and knowledgeable service combined with fast delivery. On the rare occasion that things don’t go to plan, we put things right quickly and without fuss. This commitment to our customers is reflected in our Google Certified Shop status and we have won five-star Gold Trusted Service Awards from Feefo, based on real reviews from real customers, for 5 years in a row.
" One of the best companies I have had dealings with. Superb service and great products. Would highly recommend "
We started Binopolis because we couldn't find a stylish and well made recycling bin when our local recycling scheme was introduced. After trying a cheap bin with a clanging lid which soon broke, we found that there were good products out there, but there were very few available to buy in stores and they were difficult to find online. Our professional design and retailing backgrounds mean we’ve worked with leading high street retailers and department stores. That’s why Binopolis is like the all best stores, with well designed, quality products clearly displayed. We’re also on hand to provide help and advice if you need it. Quality, expertise and great service make Binopolis the best place to shop for bins.